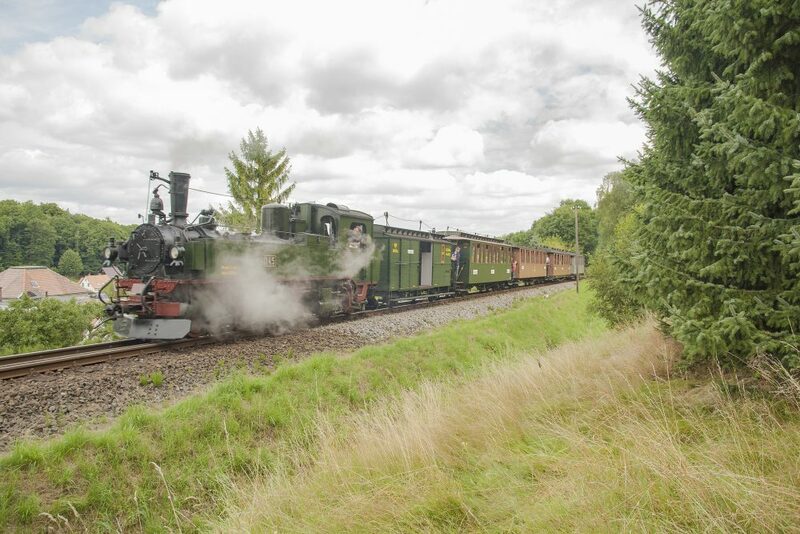 The Saxon train hauled by a Class IV K locomotive – probably the most important Saxon locomotive type – will take you back to the heyday of narrow-gauge railways: the time of the Royal Saxon State Railways. The historic train set has third- and fourth-class cars furnished with wooden chairs. The train operates at every second and fourth weekend (only Saturday and Sunday) from May to October. The train operates at 8:41 a.m. from Zittau, commuting between the health resorts of Oybin and Jonsdorf via Bertsdorf. 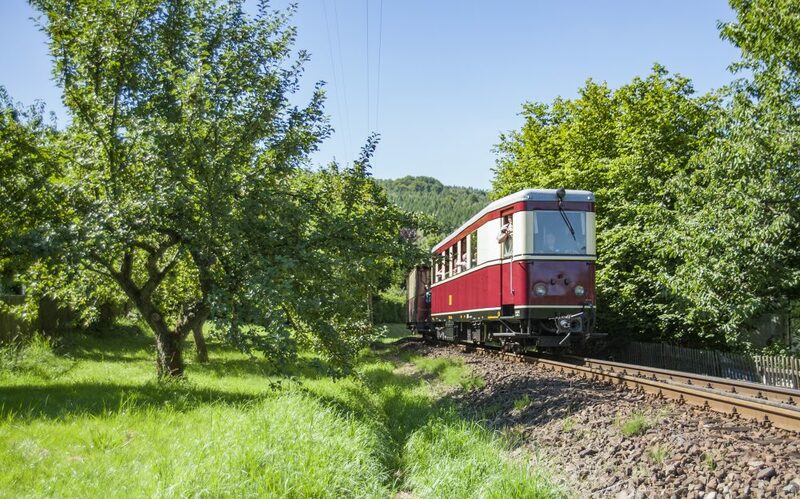 A ride on the Reichsbahn train will make you feel like you have stepped back into the time of your grandparents and great-grandparents in the Golden Twenties or 1930s. You can enjoy a ride to the mountains, among others, on the fine velvet seats of the lounge car, every first, third and fifth weekend from May to October (only Saturday and Sunday). The train leaves at 8:41 a.m. from Zittau, commuting between the health resorts of Oybin and Jonsdorf via Bertsdorf. Since 2019, the Reichsbahn train has provided regular railway service on the Rittersgrün K 1264 open panoramic car in nice weather. 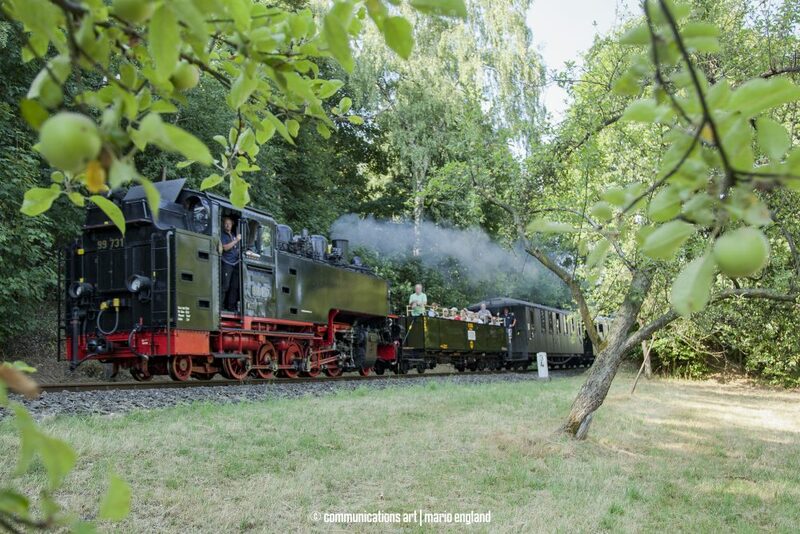 After not having been used for over 40 years, the Zittau VT 137 322 Triebwagen built in 1937 was put back into operation by the SOEG in August 2007, thus making it possible to experience the post-war development of the Reichsbahn railway. In 2016, the rail car was supplemented with the last trailer car preserved in its original state, and it now operates every first and third Sunday between May and October. The train runs according to the diesel timetable: every Saturday, and every second and fourth Sunday from May to October. In the event of failure of a steam locomotive, the 199 018 L45H diesel locomotive will be used.